So there you have it. 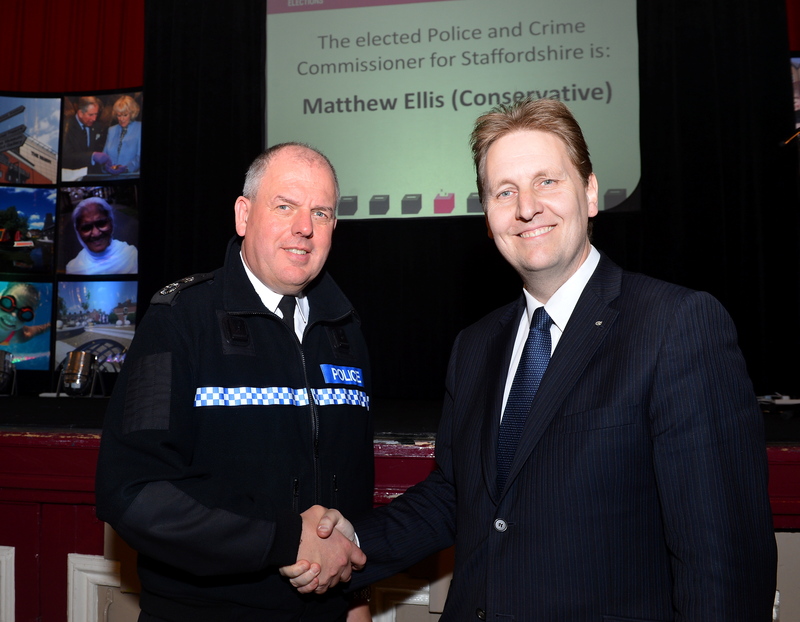 A ringing endorsement for Staffordshire’s Police and Crime Commissioner. Less than 12 per cent of voters in the county could be bothered to take part in the poll – the lowest turnout in all 41 police force areas across England and Wales. In Stoke-on-Trent that figure fell to less than 10 per cent. Hardly a mandate for change, is it? So why the apathy for the election of someone whom, it is claimed, has the potential to shape policing in our localities? Well the narrow winner in this blue versus red beauty contest, Matthew Ellis, blames the Government. Funny that, coming from a Tory. Yes, the 45-year-old former businessman reckons November isn’t a good time to hold elections and bemoans the fact that every household wasn’t given information about the election. All of which is rubbish, of course. I dare say the turnout figures would have been equally poor in October. By the same token, you would have to have stayed off the internet, avoided newspapers, the TV and the radio for several months and not know a child whose school was closed for polling to claim ignorance of these elections. No, I suspect there are other reasons for the low turnout. First and foremost, they perhaps have more to do with the fact that the new Police and Crime Commissioners are viewed by many a complete and utter waste of time and money. It’s yet another example of tinkering around the edges of a system that is creaking through basic, chronic under-funding. They are a sticking plaster for a gaping wound: A political construct to give a veneer of accountability and a smokescreen for the savage public sector cuts. They are also a slap in the face for 30-year bobbies who are being pensioned off when they still have much to offer the force and the general public. Given that our usual turnout levels at local election time are around 30 per cent this result speaks volumes for what people who can usually be bothered to vote think about the new high-profile role. Mr Ellis, who I don’t know from Adam, will receive £75,000 a year for the privilege of telling the Chief Constable how to do his job. Spin it how you like, but that’s what is happening here. Personally, at a time when experienced bobbies are being jettisoned, I’d rather use this money to keep two and a bit police officers in post. At least theirs is a real job. Call me old-fashioned but I would have thought Mr Ellis’s opponent, Labour councillor Joy Garner, would have wanted that too. Mr Ellis seems like a nice bloke who is devoting himself to public service – just like councillor Garner. However, the truth is neither of them have much experience in the way of crime-fighting – in the same way that I wouldn’t be much use to The Avengers if Captain America came calling. I would suggest the fact that there were only two candidates – both from mainstream parties – did nothing to inspire people to vote, either. For me, policing – at its most basic level – should be apolitical. Police forces should be, certainly, and so the idea of a Labour or Conservative politician adding his or her party’s baggage to the mix doesn’t fill me with confidence. For people in the Potteries and Newcastle-under-Lyme, who did bother to vote but not for Mr Ellis, the situation is even more galling. Of course, he’s currently saying the things he thinks people want to hear: More bobbies on the beat; iPads to help officers cut down on paper work and the sale of that pesky Police HQ. But the crucial question here is this: Can Mr Ellis turn water in to wine? Can he help Staffordshire Police maintain its services while cutting £34 million from its budget by 2015? If not, is he any good in an armed siege or a riot? 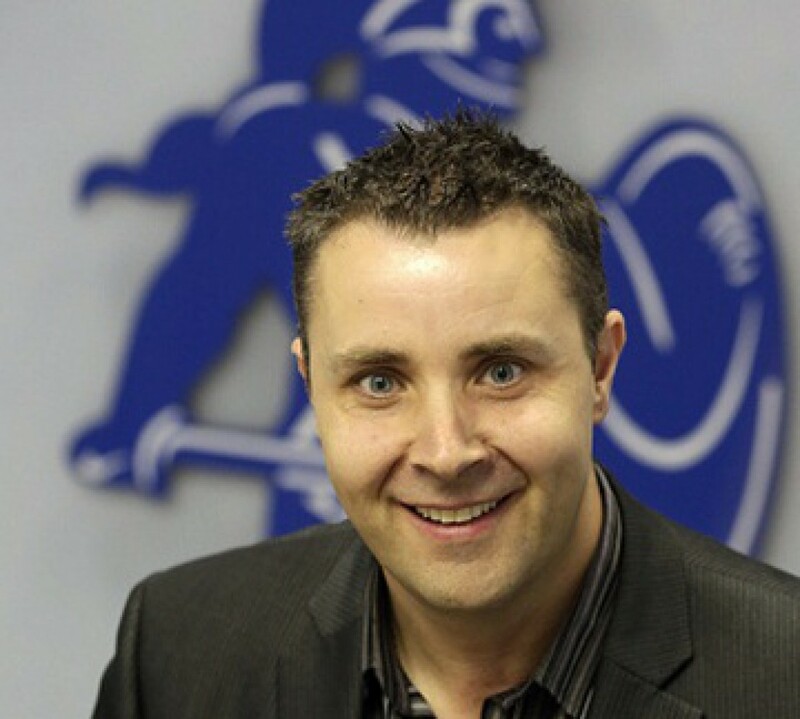 I first met Chris Ellis when he was working as a reporter for BBC Radio Stoke in 1989. A proper, old-fashioned hack, Chris broke, among many exclusives, the ‘Pindown’ story which uncovered widespread abuse of children in care across Staffordshire. Always keen to listen, always sniffing for his next big story, Chris was a pleasure to work with back then and later when he joined me as a sub-editor here at The Sentinel. Little did I know it at the time but there was more to BBC Radio Stoke’s veteran newsman than met the eyes. 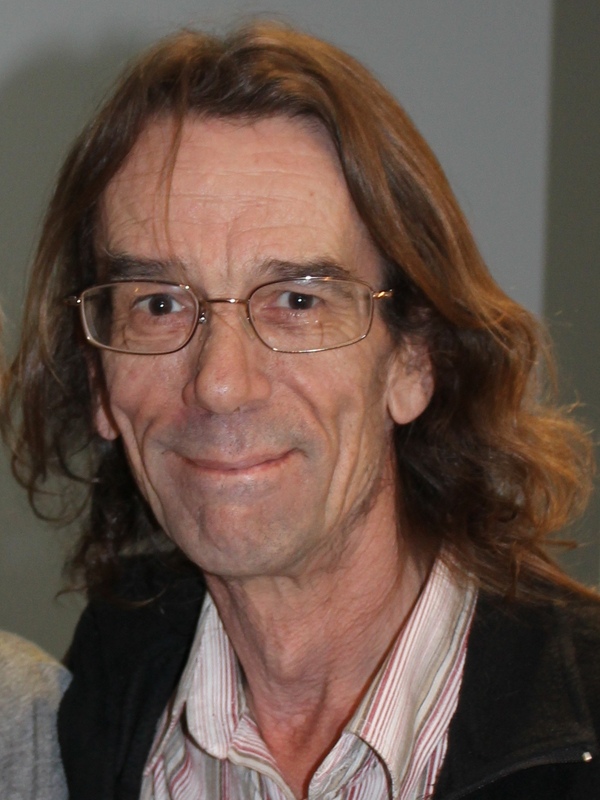 Born in Leek, Chris was a member of local rock bands Hunter and Demon. He was also one of the key players in arguably the most important piece of regeneration work to take place in the Potteries to date. Now retired and living in Cairns, North Queensland, Australia, he’s returned to his first love – playing rock, blues and jazz music. Chris is currently on tour with singer/song-writer Leanne Tennant and says has no intention of returning to the UK because it’s ‘far too cold’. ‘May 8, 1986. A date I’ll never forget, and the culmination of months of planning, dramas, nerves, and, for me at least, sailing an unknown ship into unchartered waters. 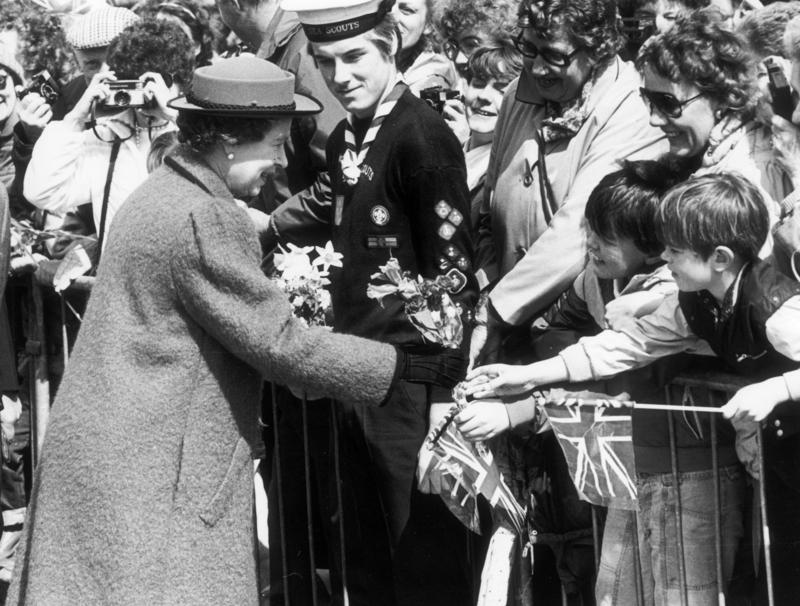 It was the day the Queen opened the National Garden Festival at Etruria, billed as “The Greatest Event In Europe”. If there was ever a team effort, this was it. An unlikely mix of people had come together to transform the old Shelton steelworks into 180 acres of gardens, shops, events and other attractions, to breathe new life into a site that had been left derelict and an eyesore after 2,000 workers were made redundant when the factory closed. Various cities had competed for funding to hold garden festivals. Liverpool held the first, the International Garden Festival in 1984, and Stoke successfully bid for the second, in a campaign spearheaded by the former trade union leader Ted Smith, and Ron Southern, who was leader of the city council at the time. On the day the steelworks had closed, I remember Ted vowing to see those lost jobs replaced before he died. He succeeded, and lived to see the results of his efforts after the festival closed, and new businesses moved on to what’s now known as Festival Park. I was brought into the team as the events manager. I’m not sure what qualified me for the role, apart from my previous experience of organising various musical events, my reputation as a musician and broadcaster, and perhaps friends in the right places. I joined a team of designers, architects, marketing and business experts faced with the daunting task of making Ted’s vision a reality. Many were leaders in their field, others, like me, were going to have to play it by ear. In late 1984 I reported for work at Etruria Hall. I certainly recall a great sense of pride as I sat in my new office in what had been Josiah Wedgwood’s home. Through one window I could see what had been the old rolling mill of the steelworks, where the marina was under construction, along with a number of “show homes” and the China Garden pub. Through the other I could see piles of rubble from the old works being piled into a huge mound, eventually to be covered in topsoil and saplings. This would become the “Woodland Ridge”. On my office wall was pinned the “Master Plan”; a designer’s vision of what the site would look like – which changed on an almost weekly basis, depending on which consultants thought what was appropriate, and what ever-changing budgets would allow). To tell the full story of the festival would take a book, but for the purpose of this article I only have space for what I feel the festival achieved. Despite the constant battle with the weather, especially the ever-present wind which swept across the site, construction somehow continued on schedule, sponsored gardens were constructed, and compromises were reached. There were many compromises, among them the choice between spending money on horticultural and design aspirations, and the real aim of the festival, which was to rejuvenate the land for commercial and community use. If I have a personal regret, it was losing the argument to build a bridge at Cobridge lights, to relieve the constant traffic congestion; a problem which remains to this day. We had the money to build it; maybe those of us who were “locals” didn’t have the fortitude to hold out for it. It’s the old story though, we had the money to build it then but didn’t; today the cost of such an endeavour would be unthinkable. Now back to the things we did achieve: We created a place of beauty out of industrial waste. We brought thousands of people to Stoke-on-Trent who would never have come for any other reason. We created hundreds of temporary jobs, on the old Community Programme scheme, even convincing the powers-that-be to allow us to employ musicians to provide entertainment. This wasn’t easy, especially when the local Musicians’ Union got involved. The musicians we employed were from various backgrounds, but did a fantastic job entertaining the crowds, and many are still playing today, probably most noticeably members of “Boneshaker”, who were formed especially for the event. Many visitors will remember the sight of “Rob the Bones”, always with his “bones” clicking away and a smile on his face, despite the days of wind and rain. While we didn’t create permanent jobs at the festival, what we did do is get people back into the workforce, albeit temporarily, and I think we gave some people self-respect that had been lost either when the steelworks closed, or during the decline of the many other manufacturing industries in the city. We employed some pretty interesting people; former factory managers, supervisors and labourers, all with their own ideas about how the festival should be operated, how the festival should look, and how our anticipated visitors should enjoy the festival “experience”. To cut a very long story very short, there’s no doubt that the festival succeeded on many fronts. The majority of visitors enjoyed their time on the site, and we certainly gave many people a great day out. Apart from the Queen’s visit, a highlight was the parade of the Royal Tournament, which had never been held outside London before. The logistics of bringing hundreds of soldiers, their uniforms and even cannons to the festival were challenging to say the least, and the flypast by a Hercules plane at low level will live with me forever. Every day there was a crisis of some sort, but we got through it. As the Queen’s limousine was leaving the railway station for the festival site we were still making last-minute changes. Only 15 minutes before her arrival a road sweeper was cleaning the entrance. It demolished a lamppost. Faced with the prospect of the Queen’s initial impression of the festival being a heap of rubble, our unflappable operations manager, Mark Michelmore, ordered that the offending lamp be hastily removed, and a team of volunteers covered over the stump and created an improvised floral display which was, quite literally, fit for a Queen. Looking back now, 26 years later, from the other side of the world, I still have mixed emotions about the festival. I don’t think we got it right; I don’t think we got it wrong either. I think we just did what we thought was best at the time, and did what was needed to restore some pride into a city which still had things to be proud of, but had suffered at the hands of people who didn’t understand the need for recognition of a city’s heritage or proud past. We did what we could to restore that pride. Whether we succeeded is not for me to judge but I know many people of the city go there every day today, either to work, shop or be entertained. I know when it happened. 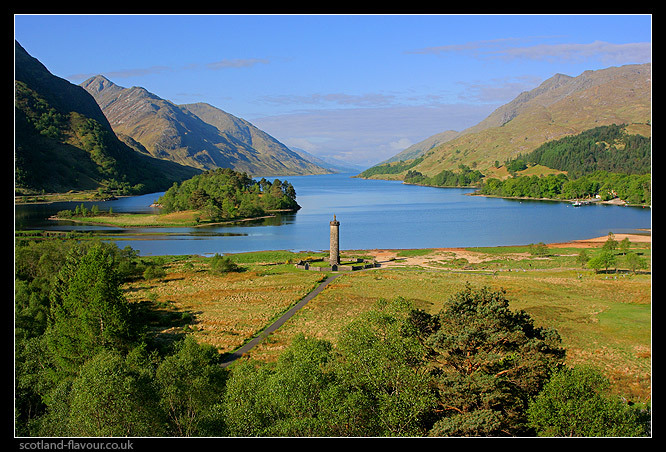 I had just climbed up the steps to the top of the Glenfinnan Monument, squeezed myself on to the viewing platform and was looking out across the sun-kissed shores of Loch Shiel. That’s when I fell in love with Scotland. I’ve visited Skye several times and even Orkney, Mull and Iona as well as braving the elements for a boat trip to the stunning Fingal’s Cave on the Isle of Staffa. In my opinion, there is simply nowhere in Britain to rival the rugged beauty and sheer majesty of the Highlands. Like my nan and grandad before me, who enjoyed many coach trips north of the border, I love Scotland. I holiday there every year and I’ve never viewed taking the high road as going abroad. To my mind it is more akin to popping next door. We are all part of the same island, after all, and so it’s no different for me to driving from Staffordshire into Cheshire – albeit a tad further. Thus I find it hard to accept the concept of Scottish independence and the much talked-about referendum leaves me cold. Rarely do I venture off-patch in my columns but the planned vote which could see our northern neighbours secede the United Kingdom frightens and saddens me in equal measure. On the one hand, the political and economic arguments just don’t stack up for me. Surely, as our city’s motto says, United Strength Is Stronger. It stands to reason that Britain has far more clout than any of its constituent parts would have if they were to go it alone. At present, our tiny nation punches above its weight on the international stage. Why therefore, at this time of global financial crisis, would anyone think it a good idea to break up the union? Surely the Scots don’t buy Scottish National Party (SNP) leader Alex Salmond’s vision of a Gaelic utopia fuelled by endless supplies of North Sea oil (and none of our nation’s debt). While the SNP chases the Braveheart vision of freedom, it strikes me that unravelling the Union would actually be complex in the extreme. The problems it throws up range from the sublime to the ridiculous. What would Scottish independence mean for our Armed Forces? Would the Scots keep the Pound, adopt the Euro, or make up their own currency? How would shared border controls be handled? What would it mean in terms of tuition fees for English students studying at Scottish universities? What would happen to the BBC and Team GB? To my mind, while far from perfect, the Union has far more advantages than disadvantages. What’s more, time and again it is the echoes of our shared heritage which convince me that a break-up after 300 years would be deeply unpalatable. The peoples of the United Kingdom share common values which I believe should not be lightly cast aside in a jingoistic fervor surrounding the 700th anniversary of a medieval battle. Let the facts be presented: The legalities of who calls a referendum plus the costs, the ramifications, the benefits and the disadvantages of such a momentous splitting of cultures must be laid bare to bring some clarity to the debate. Ultimately, the decision must rest with the Scottish people but the discussion is one in which we should surely all be allowed to take part. I spoke to a friend of mine about it all – a Scot who has made his living and home here in Stoke-on-Trent – and asked for his views on Scottish independence. He wasn’t even sure he would get a vote on the matter but if he did, he said he would be against the split on gut instinct alone.